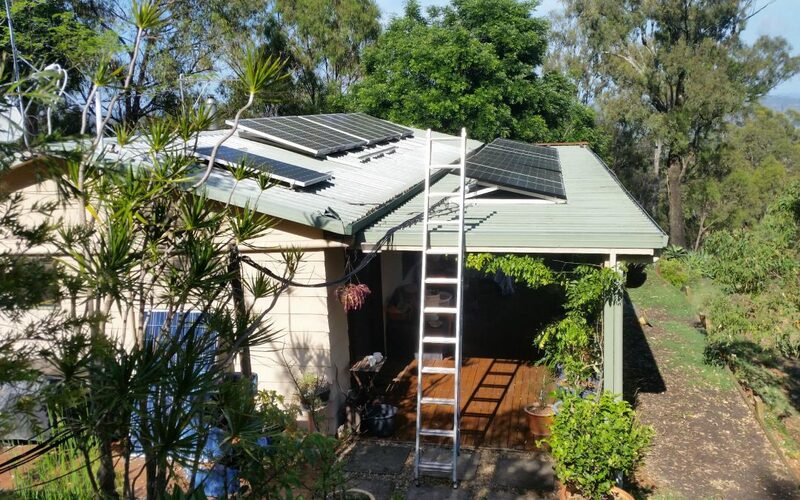 That time has rolled around again… Solar Panel angle adjustment time. We are a bit late on this adjustment. The 7th of November was our set date for adjustment, but weather and other jobs delayed us. This adjustment is the first time our new solar panel racks are being placed in their lowest/flattest position. The summer sun is now almost directly over head for us, so our panels now drop to about 12 degrees. This small change hugely increases our solar efficiency as the angle of the sun is as close to perpendicular as possible.